At Allegra we believe in good corporate citizenship. This includes being involved in the community with organizations that share our values and promote professionalism in their field as well as provide opportunities for the development of friendships and business networking. 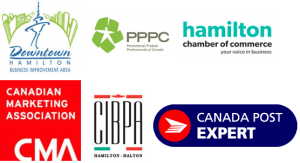 Allegra Hamilton is a proud member of the following professional organizations. If your company is a member of any of the organizations listed, you may be entitled to special discounts. Contact Allegra today at 905.528.2999.